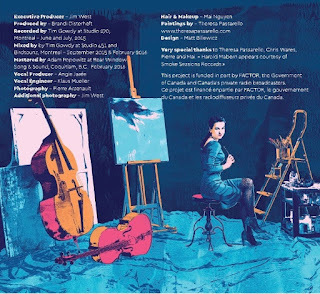 My paintings (digitally modified) were use for the cover of bassist, Brandi Disterheft's new album Blue Canvas. The painting on the easel was the first oil painting that I ever did, an abstract of an ice crevasse. This is just amazing and have no words to explain how much i liked it. Because painting and music both are my passion and you had both in this picture.